TCLIB Suite is a C++ based computer vision software designed to optimize the optical performances of a telecentric setup, typically used for measurement purposes. With the use of both a .dll library and dedicated stand-alone tools, makes it easy to take care of all aspects of a typical telecentric setup (focusing, alignments, distortion calibration) which, if not properly addressed, can affect negatively the results of measurements. 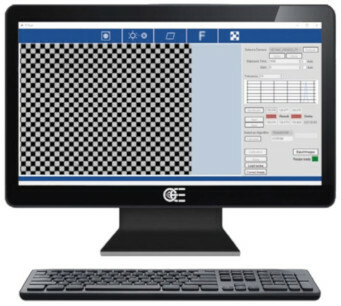 TCLIB Suite helps improving the quality of the system, providing the best possible images for your chosen metrology software to get the best achievable measurement results. 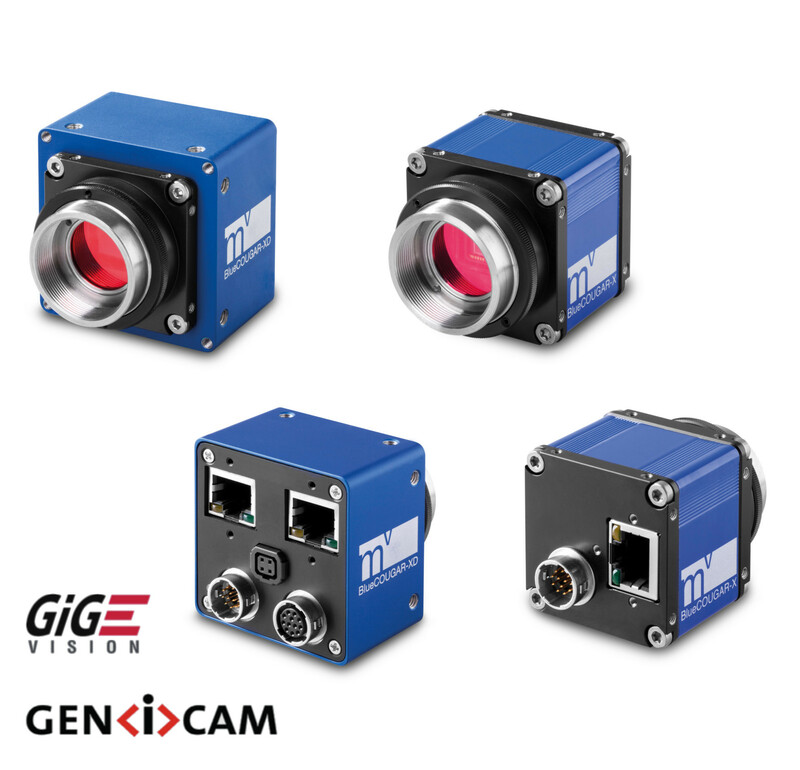 In fact, any edge detection, pattern matching and calibration software will be more accurate and reliable if based on well aligned, homogeneously backlit, undistorted images. TCLIB APP is a full GenTL compliant software. 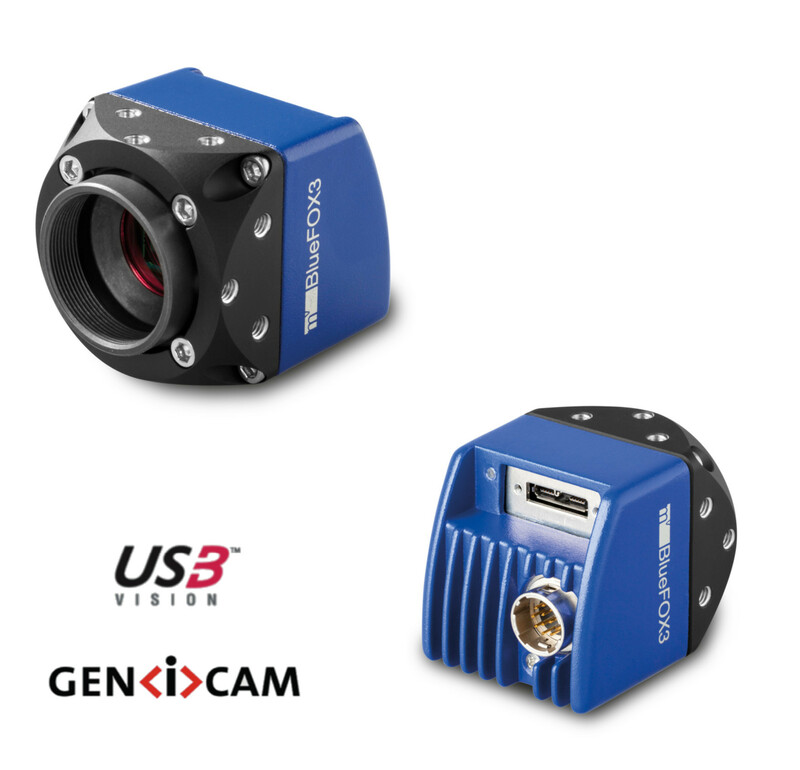 Any GenTL compliant camera device can be used with this software. Camera manufacturer drivers need anyway to be installed in order for the program to operate correctly. State-of-the-art algorithms for distortion calibration. Ensure the best focus and alignment with fast and intuitive stand-alone tools. Maximize the system performance to achieve the best measurment results. A set of algorithms (C++ library) to calculate the distortion map of a system and correct in live mode every new image acquired by the system (TCLIB), plus all the functions developed in the TCLIB-APP. The stand-alone tools and the distortion calibration functions are used offline, when the initial optimization and calibration of the machine is needed. The distortion correction, on the other hand, is based on fast and reliable algorithms which allow the system to stream adjusted images in live mode. Every time we use an optical system, i.e. a lens and matching camera, we must face the issue of distortion. The optical distortion of the system can be defined as a bias which causes a set of points to be imaged in different relative positions than the real ones. A typical example is a straight line which is imaged as curved because of the lens distortion Fig.1 shows the effect of distortion on a calibration pattern. 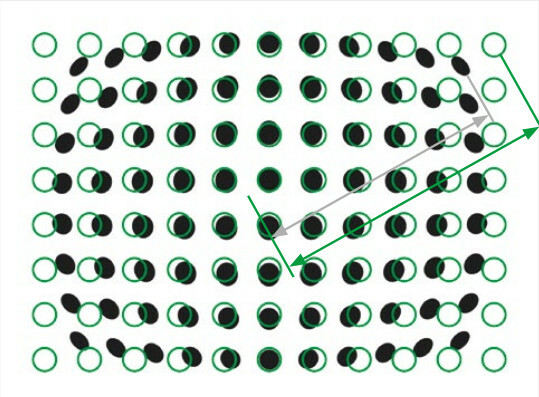 Fig.1 Undistorted real pattern (green circles) vs. Imaged (black dots) distortion pattern. The mathematical transformation connecting the original undistorted field of view to the distorted image can be very hard to model, also considering that it can change considerably through the field of view itself. 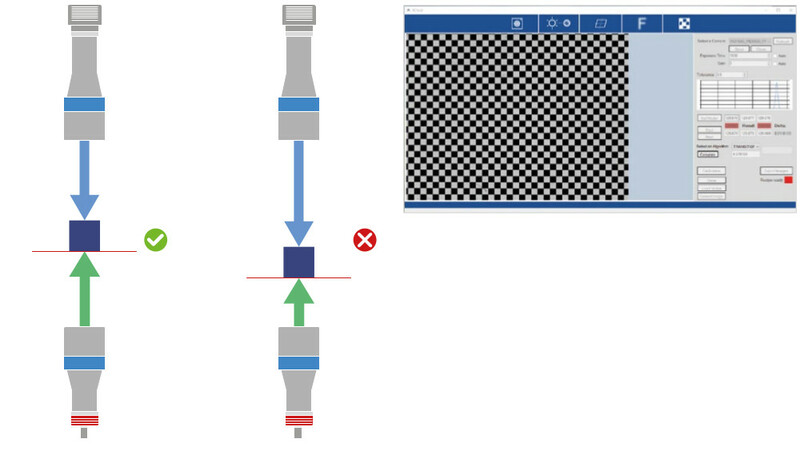 The first effect of distortion on metrology is the loss of repeatability of the measurements: since an object feature “looks” slightly different depending on where the object is located on the FoV because of distortion, the value of a measurement on that feature will be likely to change every time the object is removed and put back again. Fig. 2 Gaussian distribution of repeated measures. 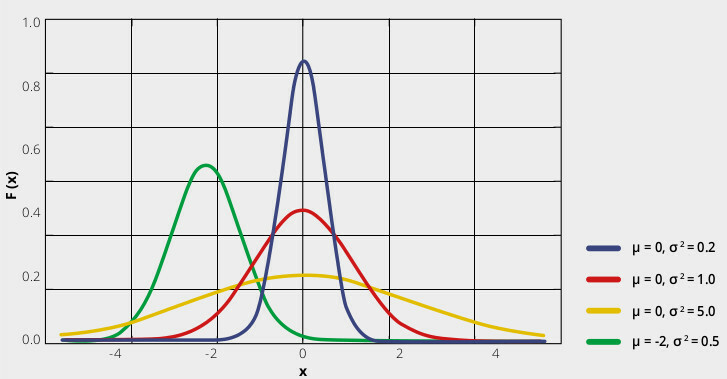 Blue, red and orange distributions represent the same result ( μ = 0 ) with different repeatability (best for blue). The green bell curve represents a wrong (but repeatable) result, e.g. biased by a fixed offset. If we measure a through-hole diameter 100 times, the distribution of the results can be approximated by a gaussian curve: results close to the average are very frequent, whereas very different results are unlikely. The repeatability of the measure is related to the width of the bell: the thinner the width, the harder it will be to find a measure far away from the average. In other words, a certain feature (e.g. a length) will be «almost the same, almost every time». On the other hand, a wide bell represents the situation in which we can’t tell whether a measure is actually different from the expected value (e.g. because it’s a defective part) or it’s a statistically expected outlier given by the low repeatability of our measurement system. The typical width used is called sigma (or “full width at half maximum”, FWHM), and it’s directly related to the repeatability. We can thus establish a direct method to compare the accuracy requirements: if the tolerance on a measurement is given as multiples of its specific sigma value, we consequently state the likelihood of an out-of-tolerance part to present itself. A two sigma compliant object will be within tolerance 95% of the times. A three sigma object will have a 99.7% confidence level, rising to 99.99999% at 5 sigma. Suppose your distribution has an average value of 150 mm and sigma = 1 mm. The associated error depends on the confidence value for your application. In fact, we can state in the feature specs that its length is 150 mm +/- 3 mm, and this will be true 99.7% of the time. On the other hand, if we want 1 mm to be a 3 sigma tolerance, we must improve our measurement process until 1 sigma = 0.33 mm. This tool assists the operator in getting the most homogeneous illumination possible. Getting the best homogeneity of the illumination is the first fundamental step for a good measurement system, since this spec affecs thereliability of any set of edge detection algorithms. • In a backlighting condition we are looking at the object projection, not at its actual profile, hence the image might be affected by some compressions along certain directions. • Some features might not be at the best focus at the same time, thus compromising the quality of the edge for the measurement. This tool gives a numeric index for every image, indicating the proximity to the best focus. 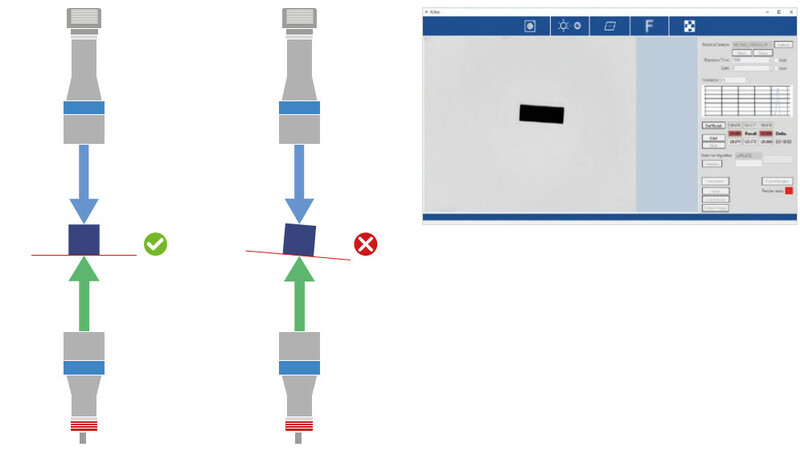 This tool allows to eliminate the residual optical distortion from telecentric lens – however small, this value must be as close to zero as possible to achieve optimum results. From a single picture of a chessboard pattern covering the whole FoV (such as Opto Engineering® PT series), we get all the information needed to get rid of distortion. Step 1. and 2. mean to calibrate the system, hence they are needed just once. Step 4. is repeated on every new image acquired. All these functions are integrated in the library .dll file and in a demo stand-alone software. The demo application can be used for test purpose or to obtain the distortion map, whereas for the actual online correction, the integration of the .dll file is recommended.